Yes, we still have SDCC ’10 video to share! One highlight this year was our interview with writer Bryan JL Glass! 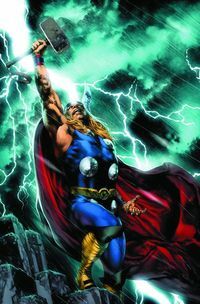 We caught up with him at the Image Comics booth, where he teased the next story arc of The Mice Templar and talked about his upcoming Marvel Comics miniseries, Thor: First Thunder. Some of Vertigo’s hottest talent talk about their current and upcoming projects. 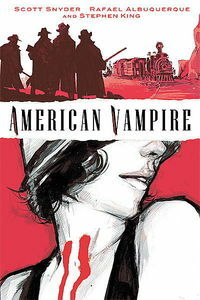 Chris Roberson talks about I, Zombie, Scott Snyder dishes on American Vampire, and Joshua Dysart discusses the end of Unknown Soldier. Jeff Lemire talks about Sweet Tooth, Matt Kindt tells us about Revolver, Fabio Moon asks us what we remember from Daytripper, Shelly Bond announces an exciting turn for Hellblazer‘s John Constantine, and Bill Willingham talks about a very special Fables #100. Grant Morrison talks about Alfred’s time in Amsterdam and what’s around the corner for Batman before he busts out his Jersey accent. Geoff Johns talks about holiday one-shots and expanding The Flash, while J. Michael Straczynski talks about impending team-ups and grounding Superman. 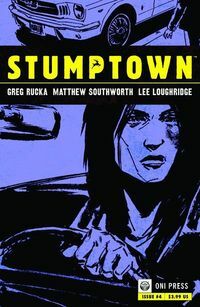 We recently had the chance to sit down and interview Seattle artist Matthew Southworth about Stumptown, his series with Greg Rucka, as well as his movie-making past and his experiences growing up in Tennessee. We had the great pleasure of sitting down with Steve Rude, best known as the artist of Nexus from Dark Horse Comics, but who has in recent years made the transition to fine artist. Here, he talks about the rewards of working in the fine arts and the changes he’s witnessed in the comics industry. Here we have writer Keith R. A. DeCandido of Boom! 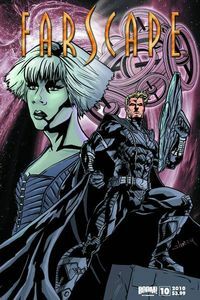 Studios’ ongoing Farscape series. Here, he talks about the future of Farscape and his upcoming work on Cars: Adventures of Tow Mater. 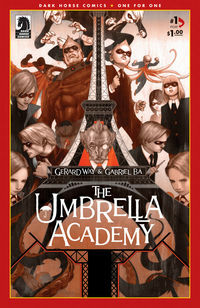 We’ve got a mega-post for the Gerard Way and Gabriel Bá Umbrella Academy panel with Dark Horse Comics Senior Managing Editor Scott Allie! Check out this six-part series below, where Gerard and Gabriel answer all of your burning questions. Wondering what it’s really like to be on the convention floor at San Diego Comic-Con? Check out our video below, where we give you an up-close look at the booths of DC Comics, Marvel Comics, IDW Publishing, Boom! Studios, and Image Comics. Our journey has come to an end with part seven of the Marvel Cup O’ Joe panel at SDCC ’10! Here, you can listen to the final remarks of Joe Quesada, Brian Michael Bendis, Matt Fraction, CB Cebulski, Mark Paniccia, Axel Alonso, Jeph Loeb and Arune Singh. We’re at part six of the Marvel Cup O’ Joe panel at SDCC ’10! Here, Matt Fraction talks about the possible return of Iron Fist, and the all talk about which Disney characters they would like to tackle in comics. 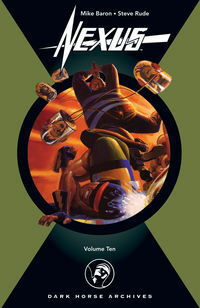 Joe Quesada, Brian Michael Bendis, Matt Fraction, CB Cebulski, Mark Paniccia, Axel Alonso, Jeph Loeb and Arune Singh join in. Part five of the Marvel Cup O’ Joe panel at SDCC ’10 features Joe Quesada talking about the future of the Marvel monsters, including Dracula and X-Men vs. Vampires. Also: Brian Michael Bendis, Matt Fraction, CB Cebulski, Mark Paniccia, Axel Alonso, Jeph Loeb and Arune Singh answer questions. SDCC ’10: Radical Publishing and Full Clip Productions! At this year’s San Diego Comic-Con, we had a chance to stop by Radical Publishing’s booth to get caught up on their latest developments. Vice President of Radical Publishing, Jesse Berger, and co-founder of Full Clip Productions, Michael Schwarz, talked to us about Full Clip’s new imprint at Radical and actor Sam Worthington’s involvement!